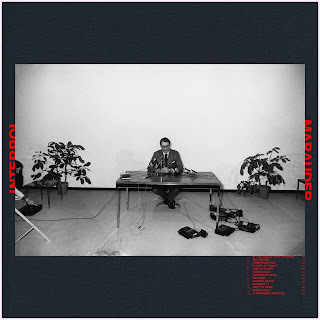 Overview: The sixth album by NYC's post-punk revivalists Interpol takes a less studio-complex approach, and was produced by David Fridmann (famous for his work with The Flaming Lips, Sleater/Kinney and Mercury Rev, among others). Analysis: From the opening salvo, "If You Really Love Nothing" (with its acerbic, Morrissey-esque proclamations), it's clear Interpol are not only looser and ready to rock, singer Paul Banks eschews his penchant for elliptical imagery, and speaks from a heartfelt, introspective approach that personalizes the songs more so than previous entries in the band's catalog. 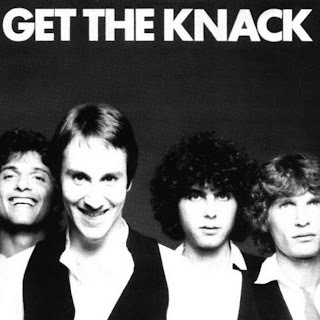 Never have these guys sounded so focused, energetic and sonically intriguing. And while the trio haven't quite abandoned the aural signposts of The Chameleons or Joy Division, they sound considerably less derivative here, and throw a variety of other genres into the mix, still anchored by a signature sound that is Banks' vocal delivery. 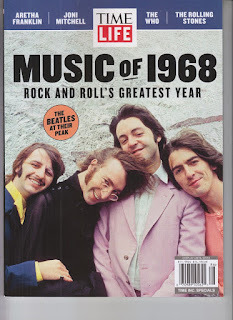 So I'm in my local supermarket's magazine aisle, when I come across this "special edition" of Time/Life's Music Of 1968, featuring....surprise - The Beatles on the cover, with the byline, "Rock and Roll's Greatest Year." I should be used to this self-aggrandizing hyperbole by now, especially from conglomerate publications such as the ones Time/Life puts out, but still, I'm a little flummoxed by the fact that the editors there would consider 1968 to be "Rock and Roll's Greatest Year" - it leads me to wonder if these guys/gals are likely members of Gen-X, and have no clue about the simultaneously tumultuous and psychedelicSummer of Lovewhich, by the way, happened in 1967 not 1968. 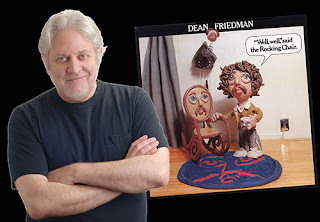 There are moments during my extended interview with Dean Friedman where I find myself asking, "How did a nice Jewish boy from Jersey end up in this crazy music business?" 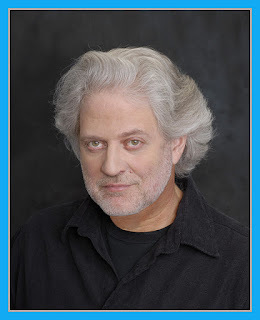 After all, so much has changed in an ever-changing industry - and as a recording artist who lived through those changes, from his 'rock star days' in the late 70's, to his workmanlike DIY ethic that has earned him considerable singer/songwriter cred on the other side of the pond (Friedman spends a considerable amount of time living/working in the UK, where his tours are met with effusive praise), you have to wonder: in an age of reality shows, viral videos and Indiegogo campaigns, where does a veteran musician and songwriter find his niche? 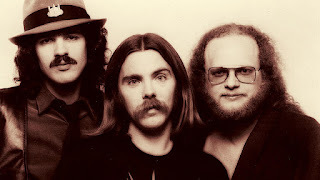 Let's play a little game, rock'n'rollers - I'm going to pick some groups, and I want you to name the first person that comes to mind: The Doors? Jim Morrison. Led Zeppelin? Robert Plant. U2? Bono. Radiohead? Thom Yorke. Cream? Eric Clapton. 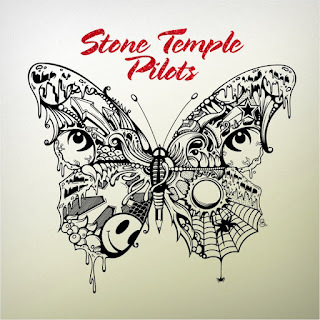 Stone Temple Pilots? Jeff Gutt? I didn't think so. Well, it's 2018, and we have a new album by an old band from the days of 90's alternative rock and MTV, refurbished with a lead singer chosen from a tv singing competition show. You might be wondering what motivates Robert and Dean DeLeo and Eric Kretz to soldier on under the STP banner, insisting on recording and releasing material bearing its brand. Weekend Edition: My First Review; What's New, Klaatu? Once upon a time...........1979 to be precise, I answered an ad in the Village Voice looking for artists and writers for a new underground, counter-culture magazine - appropriately named The Daily Dope. I met with publisher Steve Becker, armed with a portfolio of art collected during my years majoring in cartooning at the High School of Art and Design. My primary objective was to start a little panel cartoon which would run monthly, not unlike some of the contributions I would see in the Voice. On a whim, I also brought along a couple of LP reviews (yes kids, I said vinyl!) I wrote of new releases.